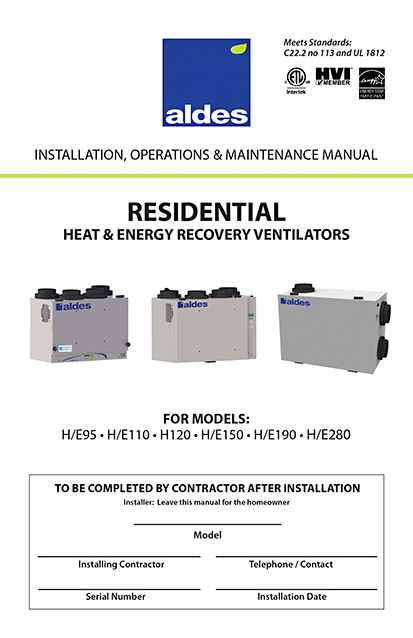 Aldes Standard Residential Heat Recovery Ventilators (HRV) have been thoughtfully engineered for apartments, condos, and single-family homes. 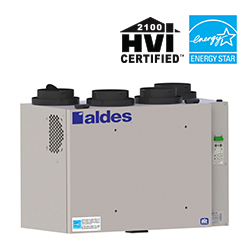 Installers will appreciate the compact size and set-up ease, while homeowners will benefit from improved indoor air quality and reduced heating and cooling bills. All Aldes Standard Residential models have two exclusive features. 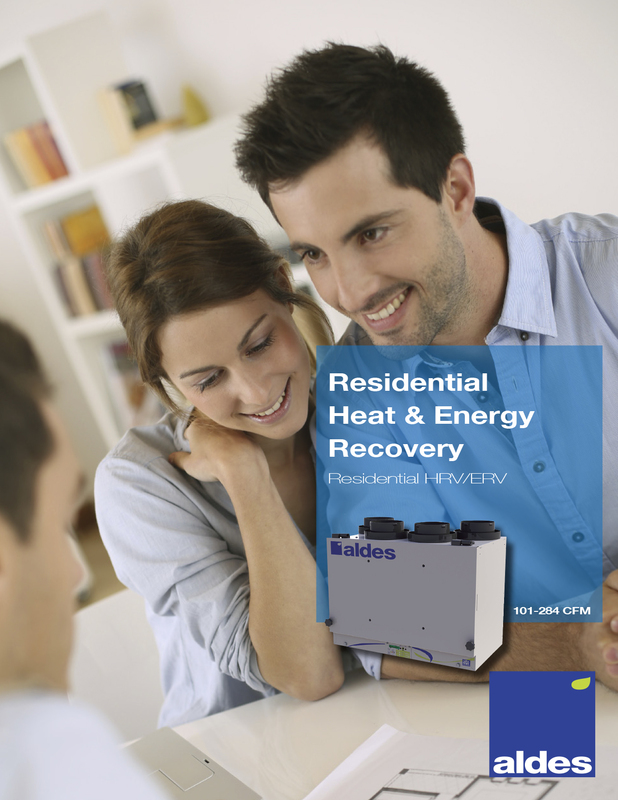 EvacMAX™ provides on-demand boost for maximum bathroom ventilation. With FLEXControl, airflow circuits can be calibrated electronically, eliminating the need for resistance-inducing balancing dampers and improving overall efficiency. Other key features of the series include: twist-in collars, non-dust-loading backward-inclined impellers, and snap-out motor decks.